South Carolina Nurses...if you were thinking that we couldn't make earning your CEs any easier, we have news for you! 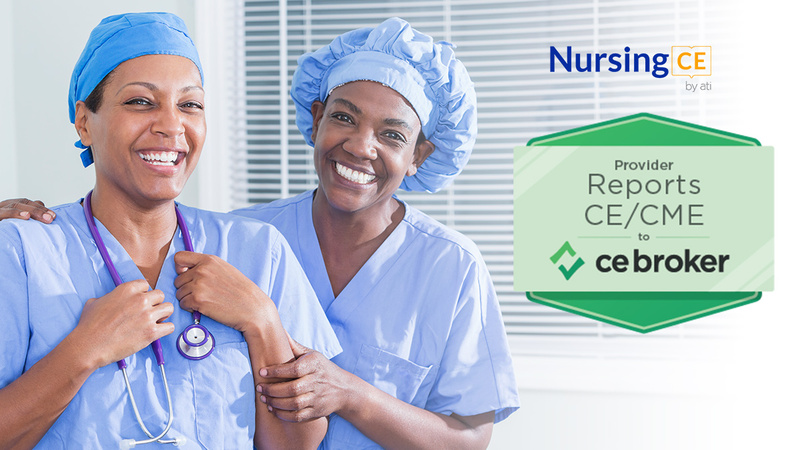 NursingCE.com now automatically reports your continuing education contact hours to CE Broker. CE Broker is the continuing education tracking and management system used by regulating entities across the United States to track the continuing education courses taken by all licensed health care practitioners. The South Carolina Department of Health contracted with CE Broker and uses the CE Broker electronic tracking system to simplify the compliance management process and check for CE compliance when South Carolina nurses renew their license. Create a free account on NursingCE.com and complete your required hours fast and efficiently. After that, sit back and relax - we will automatically report your completed hours for you. Have co-workers or other nursing friends who are worried about having to report their CEs? Share this link with them and make sure that they know that they can complete ALL of their required hours for only $49 on NursingCE.com.